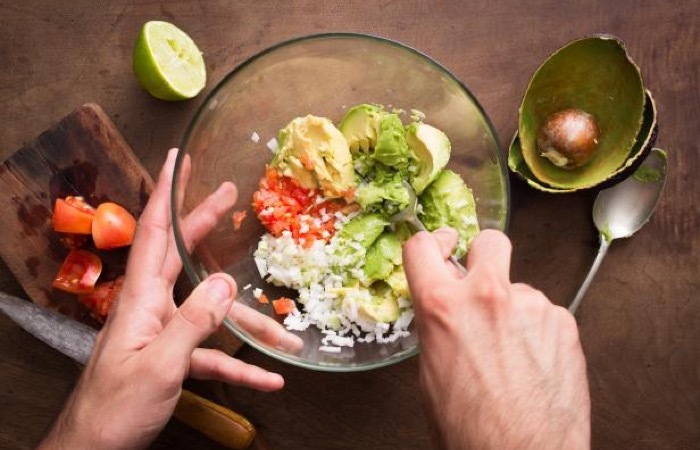 A great party starts with a fresh bowl of guacamole and if you want to have the epic dip but don’t know how to make a guacamole, you’re in great luck! 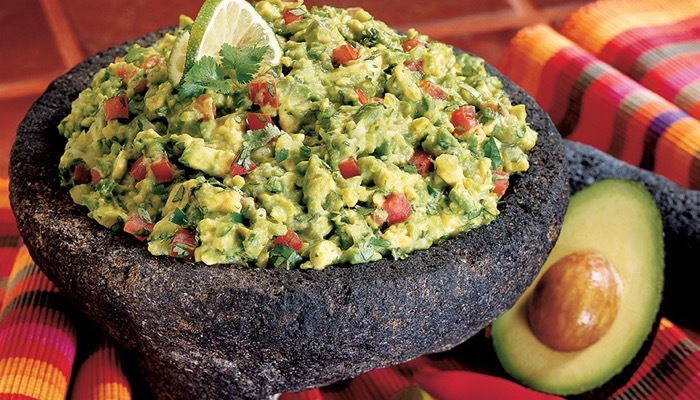 Guacamole is an avocado based dip or spread, sometimes considered a salad with Mexican origins. It is used in modern Mexican cuisine but is now part of the international and American cuisine as a dip and salad ingredient. It would be a lot more fun to make a guacamole when you have a little knowledge of its origins. Its etymology, the word “ahuaca-mulli” literally translates to avocado sauce. Guacamole dates back to as early as the 1500’s. 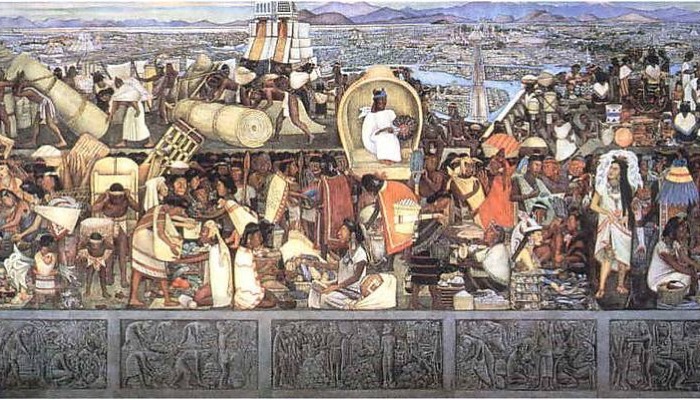 The Aztec empire created the spread and local restaurants today are using those same exact ingredients that they used. The Aztecs also believed it to be an aphrodisiac and it was vital to their diet because it has more protein and natural monosaturated fats than other fruits. Avocados have about 20 vitamins and minerals, and it helps manage heart problems and cholesterol. During the holidays of Cinco de Mayo and Super Bowl Sunday, there is an increase in avocado sales to great amounts year after year. 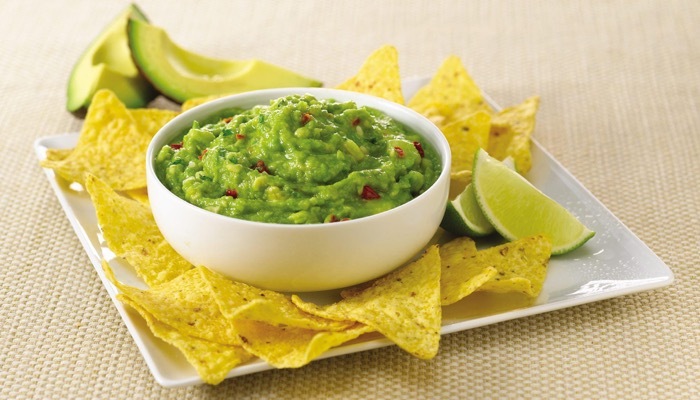 Guacamole is so popular now that even has its own national holiday which is every September 16th. Here is more on the history of the guacamole and who is responsible for this spread. 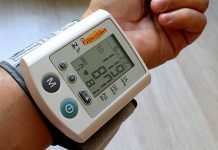 You can also make a guacamole by using a suitable blender and here is the Ninja Master Prep Review which could be one of your options. Good guacamole starts with the perfect avocados. You need ripe avocados to make a guacamole. Otherwise, it might be too bitter and it will affect the overall taste of your guacamole. Here are some tips on knowing how to tell if an avocado is ripe so you can make a guacamole perfectly. The color of the avocado does not always indicate its ripeness but it helps and is one of the indicators among other things. Check the outside color of the skin. Those that are darker in color than Hass avocados with lighter skin. Avocados that are very green in color are generally not ripe. Those with a mixture of green and brown are almost ripe. And a really ripe avocado has an almost full black color. But be careful and check for indentations because it may be a sign that the fruit is bruised. 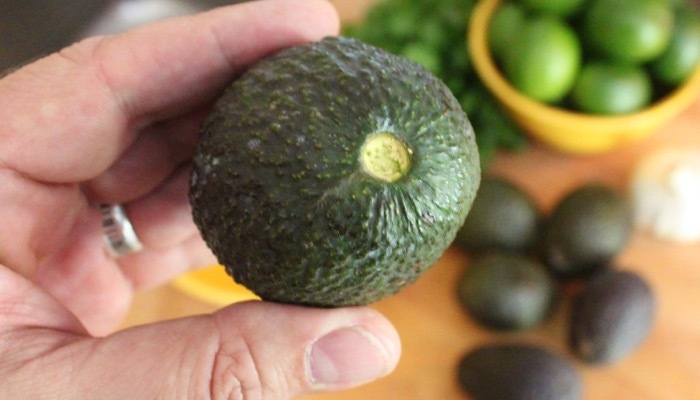 Another way to tell if an avocado is ripe so you can make a guacamole is by checking its firmness. Place the avocado in the palm of your hand and gently squeeze it but don’t apply your fingertips because it can cause bruising. If the avocado yields to the firm gentle pressure in your hand, then you know that it’s ripe and ready to eat. Firm avocados that don’t yield to gentle pressure is still unripe. But if the avocado is mushy and very soft, it could be very ripe or overripe. You can also check under the stem of the avocado to tell if it’s ripe. This part of the avocado shows you a preview of what is going on under its skin. If you have already bought the avocado and it still has a stem, peel back the stem or cap at the top. If it comes off easily and you see that it’s green underneath, it means that it’s ripe and ready to eat. 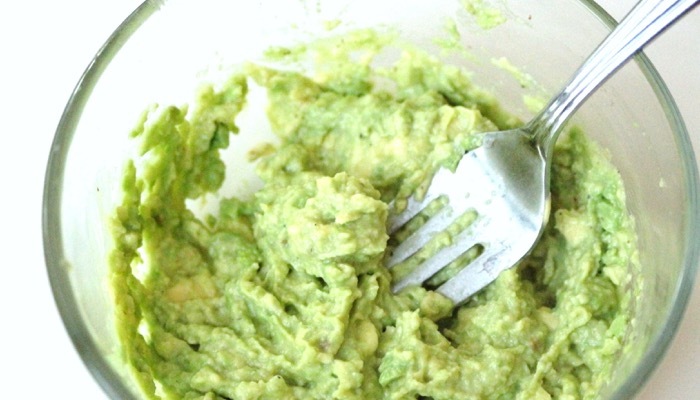 Now that you know how to choose your avocados perfectly, you’re ready to make a guacamole. There are several guacamole recipes but we will show you how to make the basic one so you can explore and customize it according to your preferences. First, to make a guacamole, clean your avocado by washing it under clean running water. Then cut it in half and remove the seed in the middle. Scoop out the inner flesh of the avocado with a spoon and separate it from the outer skin. Set it aside. Mince your onions, seed and dice the tomatoes, and dice the serrano peppers. 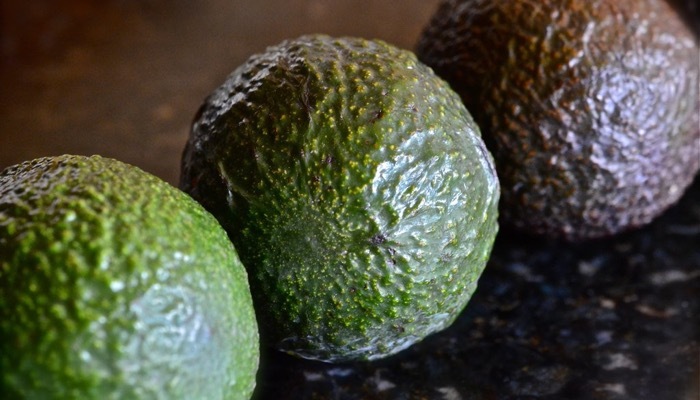 Mash your 3 avocados that you set aside into a chunky consistency with a mortar and pestle. 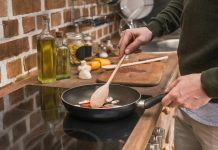 If you don’t have a mortar and pestle or prefer not to do this option because of the hassle, you can also use a blender or food processor that has a mashing function. You can also do it with a fork if you don’t have either of those tools. You can also puree it depending on your desired level of how smooth or chunky you want your avocados to make a guacamole. Put them in a bowl. Take your mashed avocados and mix the ingredients together. Gently stir the lemon juice and mix in the onion, tomatoes, and peppers. The lemon juice will help the guacamole to stay fresh and balance the overall flavor. You need to make sure to dice the tomatoes and peppers. The cilantro is optional. Then add the salt and pepper to taste. Stir in the diced avocado in the mixture. Now you know how to make a guacamole, you’re ready to serve. Traditionally, you serve guacamole with tortilla chips but you can also use vegetable sticks. Sometimes, they also put it on toast or inside other dishes. There are many possibilities and you can experiment as you learn to master how to make a guacamole. For a healthier dip, you may also drizzle a bit of EVOO to the mixture. You need to serve fresh guacamole immediately to make sure that you will get the best possible taste. You can store the above recipe for guacamole for about a day. Do not exceed more than that. So if you are still far away from your party, do not make a guacamole yet. Wait until it’s near the serving time so you can make sure that you only serve fresh and delicious guacamole.